This is our personal blog – I have several others that include a variety of information, but none devoted to the subject of my family. This blog enables me to write about things directly relating to subjects that interest me and my family, and to share my personal views on things that my other blogs do not. It’s my hope you enjoy your visit and that you’re better-off having visited than you were before your visit. The Mangold’s are a Christian family located in a suburb of Detroit, Michigan. My name is Rodger Mangold, My highest callings in life are that of husband, father, and grandfather! I have 2 wonderful grown children who are married with wonderful spouses. My grandkids are the highlights of our lives. My wife, Shannon, spoils them like any good “Noni” would, and “Popi” (yours truly) helps fund all of that spoiling with a full-time job at Ford Motor Company since 1996. My major passions are ministry and foreign missions. We founded a church in 2011 called Turning Point Ministries in lovely downtown Rochester, Michigan. Our church loves God, and loves our community. We help feed the hungry with our food pantry, and other community initiatives, as well as support World Missions through the Assemblies of the Lord Jesus Christ (ALJC). In 2015 I was appointed as the European World Missions Supervisor for the ALJC and oversee works all over Europe including Ireland, Norway, Germany, Poland, Bulgaria, Russia, The Baltic Region, Spain, and Italy. This is profound honor which was a God-send and enabled us to expand the reach of this life changing Gospel of Jesus Christ! Because I enjoy blogging and having spent so much time blogging for other reasons that it dawned on me that blogging for “fun” would be nice once in awhile too. So here’s the results (or lack thereof). My experiment with a new venture called, “Ser-minutes” – Sermon in a Minute. A one minute spiritual pick-me-up for busy Christians! Visit this POST for details on what exactly that is. Father, please bless the Mangolds and their church as they embark upon this fast. Please give them strength in body and stength in mind. Please us this season to strengthen the Spirit within them. God, Your Word says that when we seek You with our whole hearts we will be found by You. It also says, seek and you will find, knock and the door will be opened. And Lord, we know that Your Word is never void (Isaiah). So Lord please find them in a new and deeper way. In Jesus name, Amen. I’m deeply touched by your comments and prayer CB – there’s wisdom in your words and as always I appreciate you sharing them with me. Stay tuned, this could be interesting! Hi Mangolds…just wanted to let you know, my book has been published. (You can check my blog). In any case, if you send me an email with your address, I’ll mail one to you when they come in. I am planning on mailing out some complimentary copies to pastors that I know. My Sister, Ruth Holt in NC came across your site, and it appears we are related. My name is Roland Chambers, eldest son of Roland and Mary Cecil (Mangold) Chambers. Clarence Mangold was my Uncle, and I have fond memories of Mangold’s Grove, as we spent more than a few Sundays there visiting. Cousin Buddy and his wife Dubbie (sp? it is how I remember her nickname) attended family reunion in 1980 at the Kennett Municipal Park, the last time I saw them was when they came to my sister’s (Clara Louise Young) funeral at Kennett in 1982. Members of families today are spread far and wide, so it was great to make contact with members from the Mangold side. I have included link to our home page, and from the pics, one can readily see that as per Uncle Clarence, I have definitely inherited those big Mangold ears. Wow, Roland I don’t know where to begin. I definitely want to catch up with you and Ruth and pick your brains a bit. I just wanted to take a second and acknowledge your comments and thank you so much for stopping by. I will be emailing you soon to run through our family tree. Siblings and I will be taking a look through family albums, so should have a few old Mangold photos forthcoming for you. Thanks Roland – I look forward to seeing what you come up with. 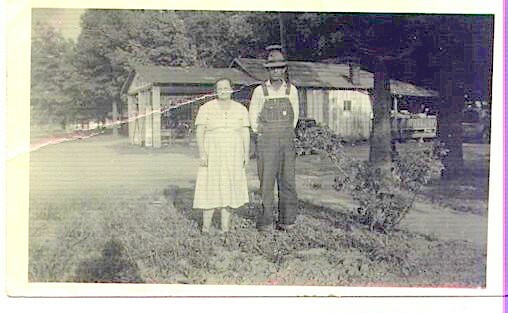 Link to a couple of photos, first one is of Uncle Clarence and Aunt Ida in front of the old store and filling station at Mangold’s Grove. Second one is of our Mother, (Mary Cecil) sister to Uncle Clarence, Ruby, and one of children. Quite a few pics to follow later. Thank you so much – I am excited about sharing these with all the Mangold Clan! 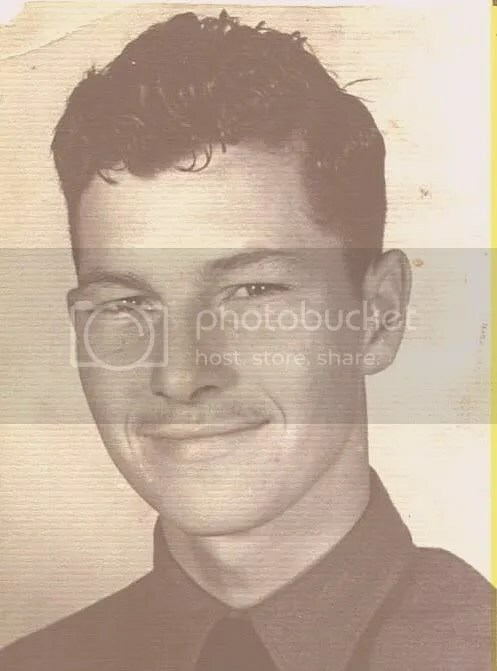 This is picture of Clifton Thomas, son of Aunt Lola (Mangold) Thomas. 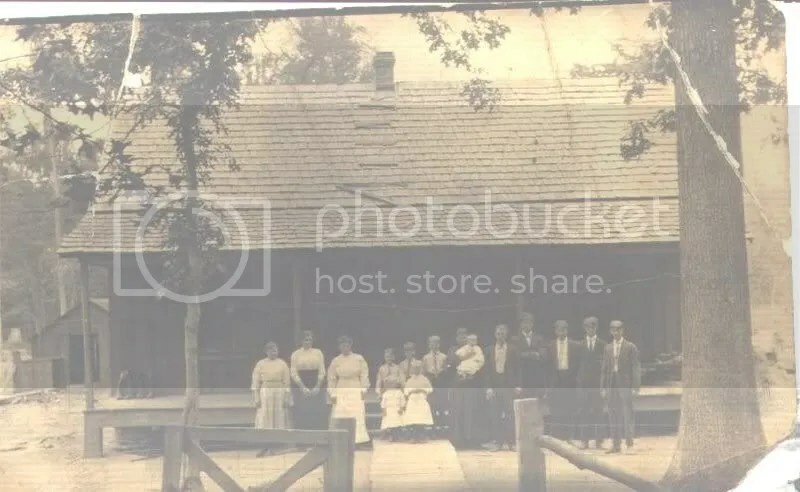 The Mangold family in 1912 at Clarkton Missouri. I’m so excited to find other Mangold’s that appear to be somehow connected to my family! I play around with genealogy for my Mangold side of the family and am preparing for our Mangold Family Reunion, which is always the first Saturday in August in Marcellus, Michigan. You are definitely invited!!!! I will provide you with details and directions if you are interested! I’m not quite sure how we are connected, but the photo of the Mangold family in Clarkton, MO is of my great-grandparents and their children…Charles Hammond and Mary Susan Elizabeth (Etheridge) Mangold and their children from oldest to youngest…Florence, William Henry, George Athel, Thomas Oscar, Alvin Ezra, Ora, Flora, John Harry, Charles Roy, Benjamin Franklin (my grandfather), Maudie, Nellie, and Hurman Wilson. I’m thinking your Clarence is the nephew of my Charles Hammond?? I’m anxious to talk to you more about this. I have several pictures and a family tree, but have dial up connection and limited experience (and success) with uploading info. I am happy to share what I have with family!!!! I look forward to hearing from you!!!! Wow Meg – someone’s certainly geeked about finding more Mangolds! It seems we’re a some what rare breed, but more and more of us are surfacing. I am amazed about the details you know about the clan in Clarkton, MO. I don’t even think my cousin Roland Chambers knew all those names. I’ll touch base with you via email soon. I’m really anxious to see your geneology info too! Talk to you soon cuz! I love the challenge of tracing our family tree and especially meeting family members! You and your wife visit yarn shops when vacationing and on romantic getaways, Craig and I go visiting cemetaries and relatives…just ask him about our honeymoon…spent the last couple of days in the “Bootheel”! :) I’ve been in contact this weekend with Roland, thanks to your website! He has even assisted me in uploading photos to Snapfish. Send me your e-mail and I’ll add you to the group. MY DAD AND AUNTS AND UNCLES. I DIDN’T GET HER ADD. My dad, Charles Edward Mangold, was born in Detroit, 1917. His father was William Mangold. His mom was Fredrika Maher, from Boston. All the Mangold’s in this family are deceased, so it’s very hard to get information. I don’t know if his father had any sibling or not. If anyone has any information, please let me know, via this site. Thanks very much, and bless you all! You guys are cute!!! love ya!! Enjoying your blog site! Way too much to take in, in one visit. But I’ll be back! Love to all the Mangolds! Thanks Bro. Willoughby – My personal blog is what I call “ecclectic.” Thus the name Rants, Writings, and Rambles. It’s a place I can write about a variety of subjects. I know it’s a bit “shotgun” in approach, but one never knows what’s going to crop up in this Mangold Mind of mine!